We are excited to be back with our Inspiration Blog this week starting with our Sensational Sunday Blog Hop! The Design Team ladies have created some stunning inspiration for you this week and we will be back to posting regularly on this blog :) YAY! 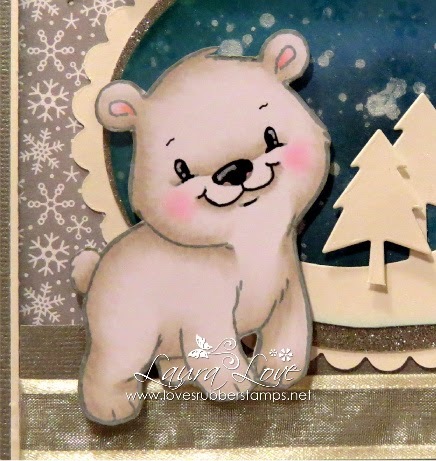 I used the super adorable Polar Bear image from the Some Odd Girl stamp set Winter Friends and it is definitely one of my favorites! I first stamped him using Memento London Fog ink and then colored him using copics in the warm gray colors - W0, W1, W3. My designer paper is also new and from the Doodlebug Frosty Friends collection. 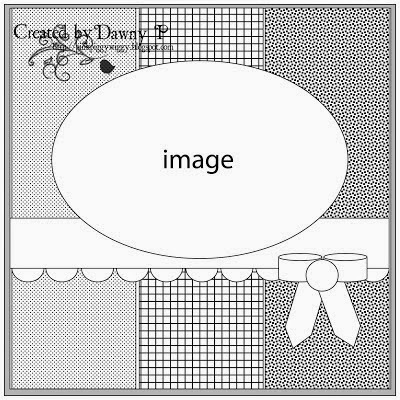 My sentiment is stamped in the London Fog as well on shimmer white cardstock and is from the My Favorite Things stamp set Stitched Stockings. Here is a look at the inside which I decorated as well. I have found that if I don't do the inside at the same time....I never get the inside done - LOL! Here is a closer look at the icicles - If you look on the front of the card I added them there too. Here is a closer look at my Arctic Night Sky. I sponged this using Tim Holtz Distress Inks in Evergreen Bough, Iced Spruce, Shaded Lilac and Broken China. To make my stars I used some of my Shimmer Pebbles chalk and scraped some of the white and placed it on my craft mat. I added a little water using a paint brush and then flicked it onto my paper. It gets more intense as it dries and the shimmer chalk gives it some sparkly bling :) The little faint snowflakes I stamped in the Broken China ink using the two smaller sized ones from the Lawn Fawn set Critters in The Snow. The trees are cut using the My Favorite Things Campy Tree Line Dienamics and shimmer white paper. 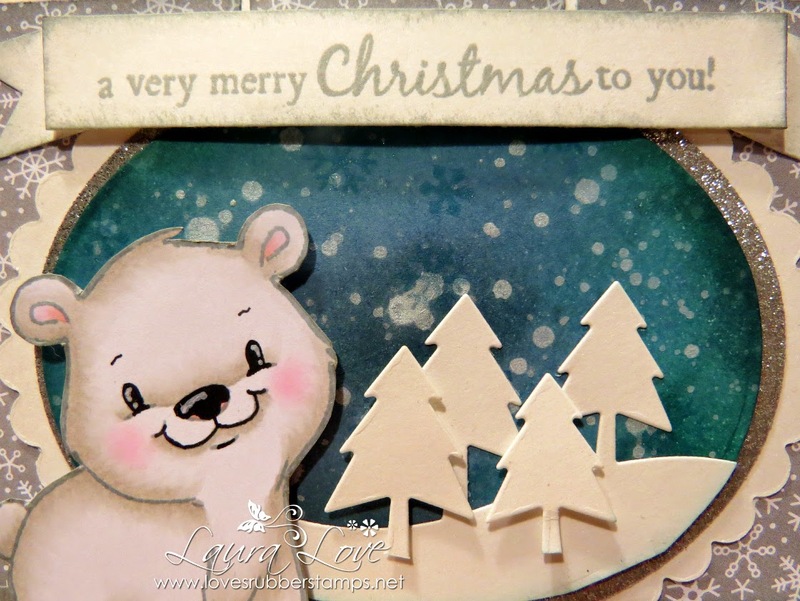 Here is a closer look at that sweet little polar bear image....don't you love him ?!?! For my layout I used the Papertake Weekly Sketch #74. Check out our FACEBOOK PAGE for details on the drawing :) We will be drawing our winner on November 9th! OMGosh this is so super cute!!! I love it. A whole lot of cuteness really love your card, the colour combination and that bow is stunning. Thanks so much for joining us over at Emerald Faeries Challenge Blog, good luck and hope to see you again. Wat een leuke ijsbeer! Om verliefd op te worden! Fijn dat je meedoet bij CHCC Extra. Super fun X-mas card!!! Super fun background!! Love that cute little bear!! Thanks for joining our Some Odd Girl November Linky Party!! Absolutely darling! Love that little polar bear! Thanks for playing along with the November Linky Party at Some Odd GIrl! Gorgeous! Love your white on white and the sweet image! 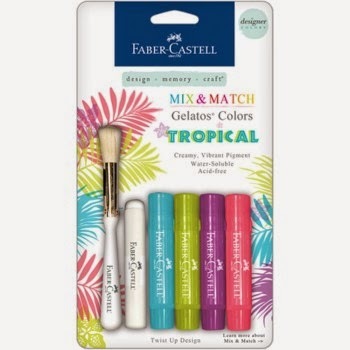 WOW love the colors you have used for this and the fabulous layers!!! Great colour combo, and a very sweet card. Love the little scene; the bear is adorable. Thanks for joining LLC for our November challenge.